Providing another option for students facing food insecurity, UC Santa Barbara has opened a food pantry at Sierra Madre Villages. With the winter academic quarter now underway, the recently opened Miramar Food Pantry is accessible to any qualifying UCSB student — and especially so to the approximately 5,000 Gauchos living closer to it than to the A.S. Food Bank inside the University Center. Open three days per week, the new facility replaces a small dry food at West Campus Family Housing as well as a mobile pantry that rotated between university apartment complexes. Situated in what was formerly a retail market servicing Sierra Madre, Miramar realizes a long-held vision of campus stakeholders to bring a full-scale pantry to the west side of campus. 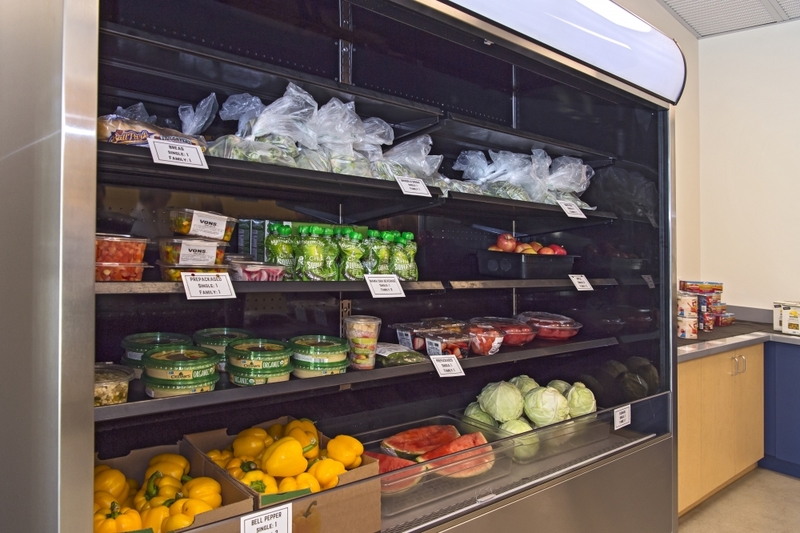 With refrigeration — not a given for the average pantry or food bank — Miramar specializes not only in free food, but free fresh food, setting it apart from similar programs across the country. “It’s a win-win,” said Jill Horst, UCSB executive director of campus dining. 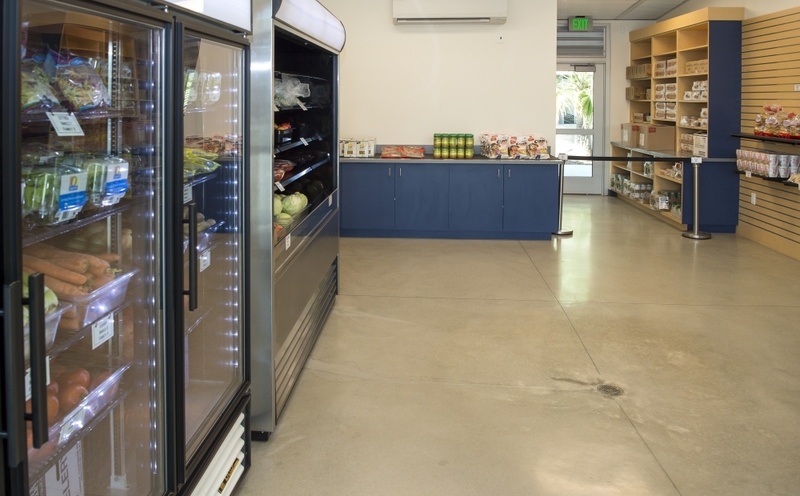 “The space was already outfitted with refrigeration and shelving and everything we needed to open a pantry, so here we found a great opportunity to bring in items that are perishable but still with shelf life. Anything that’s fresh and needs refrigeration is often better for you. Miramar is being both housed and funded by Housing, Dining & Auxiliary Enterprises (HDAE), which also partners with the Office of Financial Aid & Scholarships to offer free dining commons meal passes to students in need (some 27,000 passes are expected to be distributed in 2018-2019). In addition, HDAE supports the student-run Swipes for Us program, which collects and distributes 1,000 donated swipes for campus meals per quarter via the Associated Students Food Bank — and hopes to expand to Miramar. Miramar is the latest evolution in UCSB’s advance on food insecurity. The campus was the first in the UC system with a full-time staff member at its food pantry, which launched in 2011. The A.S. Food Bank today services 1,300 students per week and has grown to encompass myriad other efforts aimed at boosting food security. That includes Swipes for Us as well as CalFresh, a state-sponsored food benefit program. Atop steady growth in CalFresh registrations at UCSB, the campus also now accepts EBT payments at its full-service market, The Arbor. And between the A.S. Food Bank and Miramar, there is a pantry available to students five days per week.